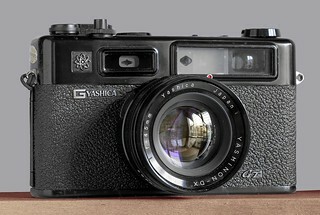 The Electro 35 GT was a 35mm rangefinder camera from Yashica released in 1969. 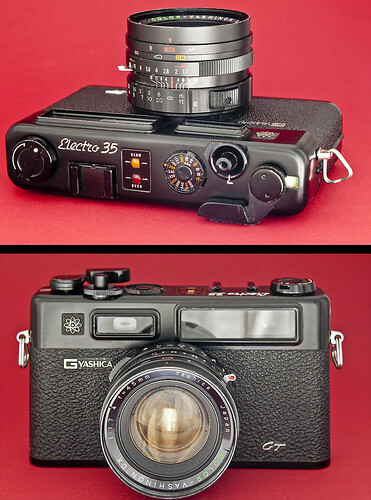 Its silver chrome body counterpart is the Electro 35 G. It was part of the Yashica Electro 35 series, and replaces the previous Electro 35 Professional. 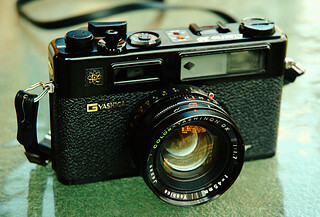 The parts of the camera are manufactured in Japan, but assembly was either in Japan or Hong Kong. Early models have ASA at 12-500 while late models have them at 25 to 1,000 ASA. Some of the lenses have the Color-Yashinon marking while others do not. The lens performance is essentially the same. This page was last edited on 15 April 2018, at 00:42.